Our last trend email introduced the idea of robotic news reporters as the world’s first AI News Anchor made its debut In China. Today, we move to the education sphere and introduce the idea of humanoid robotic educators with the example of a humanoid robot that gave a lecture in a West Point Philosophy Course. A teacher with a robotic voice can make paying attention in class seem like an impossible task. But students at West Point seemingly had no problem staying focused while learning from an actual robot. An AI-powered robot named Bina48 co-taught two sessions of an intro to ethics philosophy at the prominent military school. And while it might not have a career ahead of it as a college professor, the robot could find itself one day helping mold the minds of younger or less-educated students. To prepare Bina48 to co-teach the West Point students, the bot’s developers fed it information on war theory and political philosophy, as well as the course lesson plan. When it was the robot’s turn to teach, Bina48 delivered a lecture based on this background information before taking questions from students, who seemed to appreciate their time learning from the bot. Bina48 may have shared a few points worth jotting down, but it wasn’t able to teach at the students’ typical pace. In the future, the bot might be a better fit for classes with younger students. According to UNESCO Institute for Statistics, the world is facing a shortage of teachers, and others have suggested letting AIs fill in in places where flesh-and-bone educators are scarce. Ultimately, Bina48’s work with the West Point cadets could foreshadow a future in which AIs teach students across the globe about everything from ethics to energy. One energy example comes from New Zealand, where primary school students are being taught by Will, an AI digital avatar. AI is now part of Vector’s Be Sustainable with Energy program, which it offers free-of-charge to schools to which it provides electricity. Will teaches children about energy use and different forms of renewable energy, such as solar and wind. Will can then ask the students questions about what they’ve learned to ensure the lessons stick. Compared to the cost of paying a human teacher, these systems are also far cheaper, and they can adjust to each individual student’s learning style to help them reach their potential. While digital teachers could provide a host of benefits, they still aren’t as advanced as they need to be. Will is only well-versed on one topic — renewable energy — while quality teachers are typically far more well-rounded. 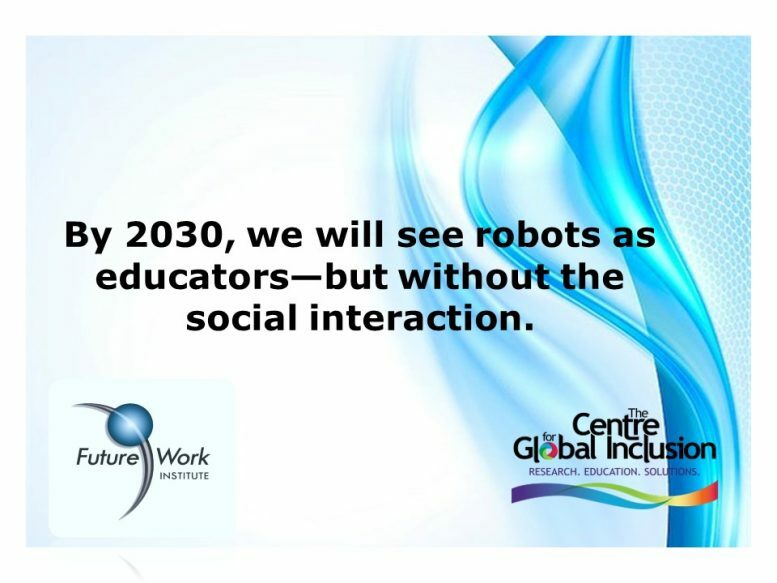 Social interaction between teachers and students is also critical to a quality education, and digital teachers most certainly lag behind their human counterparts in this realm. Will might be the first digital teacher to hit the classroom, but he almost certainly won’t be the last. In fact, British education expert, Anthony Seldon, thinks robots will replace human teachers by 2027. Other think it is more likely that we will see them complementing, rather than replacing teachers. What do you think?